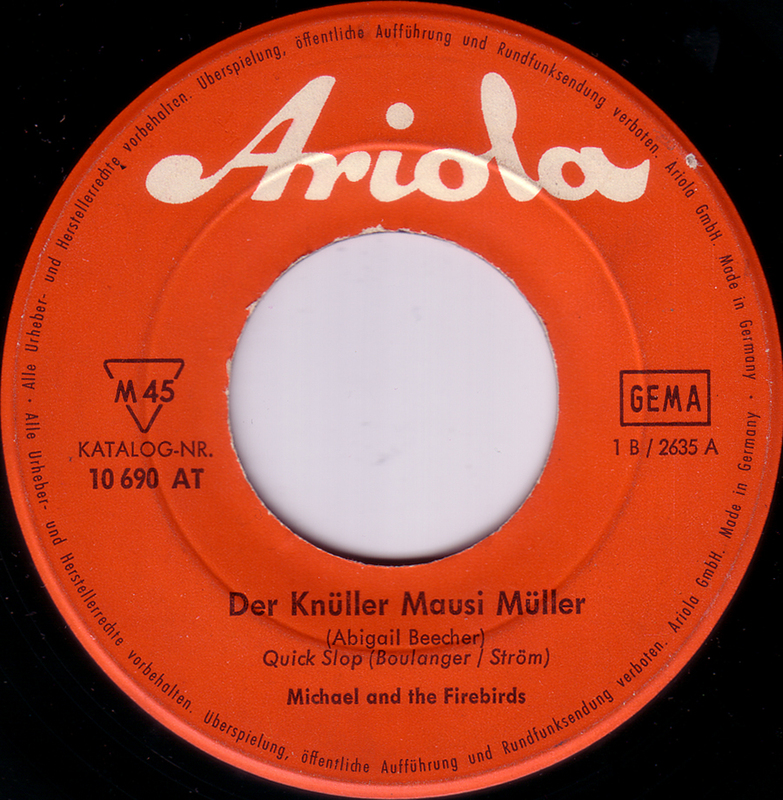 The majority of German Beat songs were sung in English but as silly as most of them were, I still like the ones best that were sung in German. For no other reason than that I like these songs very much, here are a couple of my favorites. 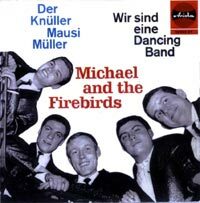 Michael and the Firebirds from Cologne recorded this stormy German cover-version of Freddy Cannon`s Abigail Beecher in 1964. Two years later their vocalist Michael Kogel hit with Los Bravos selling over one million copies of Black Is Black world-wide. …. eine Fuhre wahrer Überknülller (um im Jargon der von derFirebirds zu reden)…. vor allem die B-Seiten , die in meiner Sammlung fehlten….wobei Bernhard Frank der absolute Star ist, unglaublich, daß man nichts von ihm weiß und daß bis dato noch kein Compiler auf ihn gestoßen ist! Ciao amico – io sono uno rimasto di quella scena musicale a Colonia – e ti posso dire que il bassista del gruppo veniva suonare con noi ( Gruppo misto inglese/tedesco ” Stan Urban Combo” ) al nord della Germania. Dopo di che noi siamo andati in Svizzera senza Wolli il bassista – con un bassista e batterista inglesi del gruppo ” the fortunes ” Nr. 1 Hitparade per lavorare lì. Gli altri fanno sempre musica – io invece son diventato filosofo, vivendo nelle Marche in Italia. Ciao amico interessato a nostra musica. I’m – for long time – searching the song “Wir sind eine dancing band”, but I can’t find it. Please, as I could get a copy?